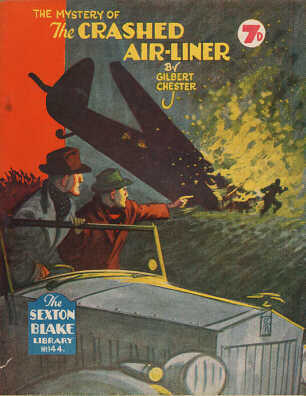 “The Crashed Air-Liner” (published in 1947) Sexton Blake and Tinker arrive on the scene in their Rolls Royce motor car (the Grey Panther). 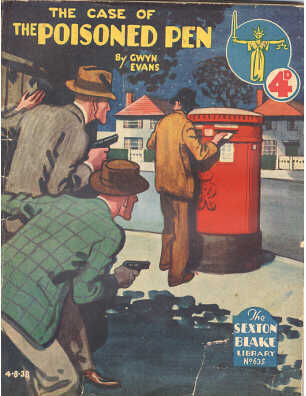 “The Poisoned Pen” (published in 1938) A letter is being furtively posted under the surveillance of two armed men. 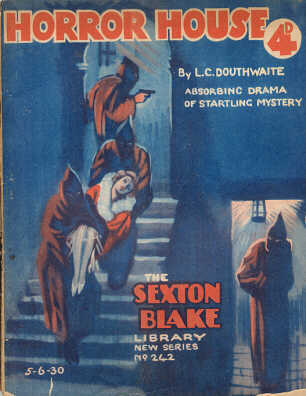 “Horror House” (published in 1930) The crooks with cowls descend into the dungeon with their lady captive. 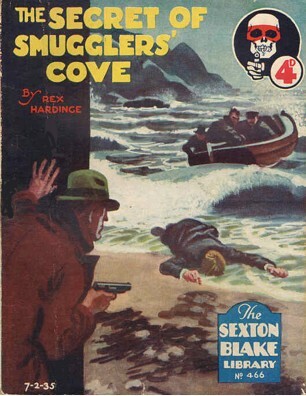 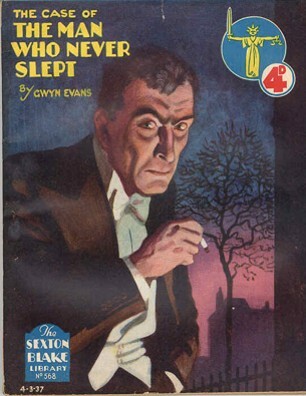 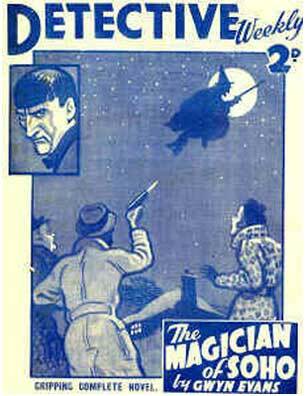 “Secret of Smugglers’ Cove” (published in 1935) Sinister deeds take place on a deserted sea shore. 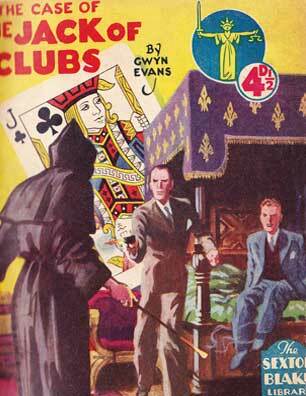 An exciting incident in the story when ~Sexton Blake and Tinker have an encounter with the “Jack of Clubs”. 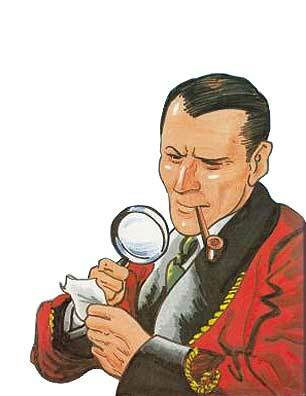 A fragment of paper is examined under the magnifying glass – it may be a clue! 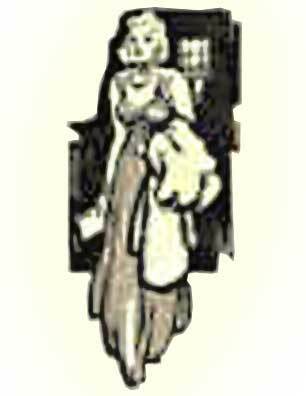 There was along-term delicate loving relationship between Sexton Blake and the glamorous Yvonne.